Numbered, Limited Edition Red Vinyl - 2000 Copies! After Tony Joe White signed his first contract in 1967 he recorded multiple singles without success. In 1969 "Polk Salad Annie" charted in the U.S., reaching number 8. He recorded multiple albums in the late '60s and early '70s. As he became more popular other musicians started covering his songs, like Dusty Springfield's "Willie and Laura Mae Jones" and Brook Benton's "Rainy Night in Georgia". Both songs charted in the cover versions and made him a well-known artist. During the '90s and '00s he recorded more albums and singles, including classics like "Ain't Going Down This Time" and "(You're Gonna) Look Good In Blues". All his hits, fan favorites and unknown gems are included on this fantastic 2LP album. 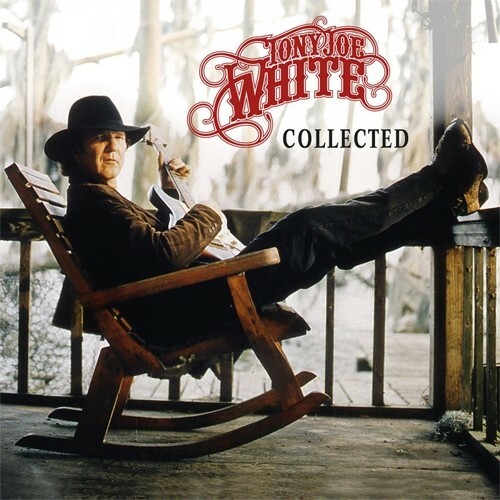 Tony Joe White Collected is available as a limited first pressing of 2,000 individually numbered copies on red vinyl. The package includes liner notes.